To promote LG’s new smart phone G2, M&C Saatchi, Stockholm created a whole new way of making banners relevant to mobile users. 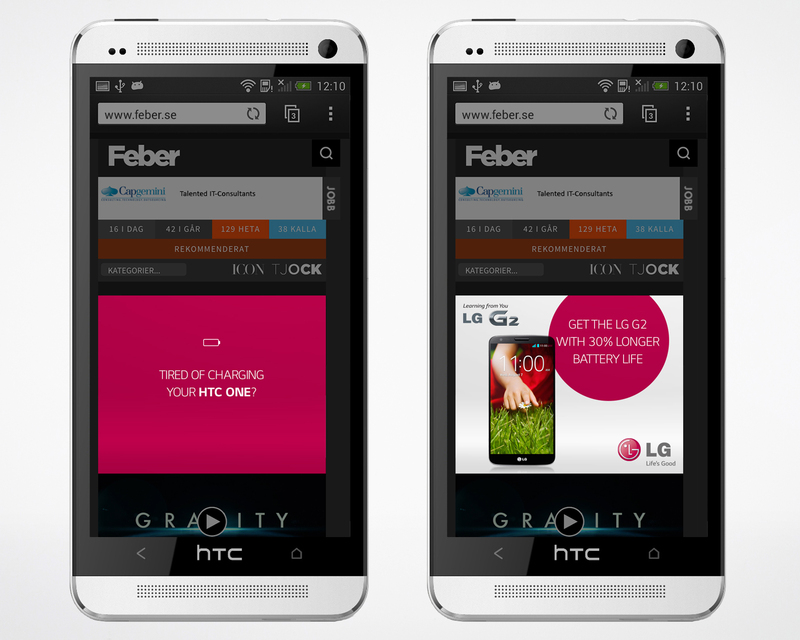 The banners detect what phone you are using, compare it to the LG G2 and customize the message. The banners appeared in Scandinavian HTC’s, Samsungs and iPhones on the 4th of October, 2013. This entry was posted in Advertising, Consumers, Digital Marketing, Mobile and tagged banner ads, Digital Advertising, Mobile, samsung. Bookmark the permalink.